(NaturalNews) Mainstream media sources continue to trumpet headlines about the decline in cancer rates leading many to believe that modern medicine has conquered this devastating disease through a systematic regimen of slashing, burning and poisoning. Yet nearly 1.7 million people will be diagnosed with some form of cancer this year and more than 550,000 will die from the number two killer of men, women and children. These statistics should not be surprising as millions of unsuspecting individuals continue to avoid lifestyle modifications that have been shown to dramatically lower the risk of cancer. Many people would be amazed to know that there are a host of natural nutrients that have been scientifically validated to prevent, treat and halt the metastatic spread of some of the most invasive cancer lines. Researchers from the University of California Davis Health System have found that a product resulting from a metabolized omega-3 fatty acid helps combat cancer by cutting off the supply of oxygen and nutrients that fuel tumor growth and spread of the disease. They have published their findings in the prestigious journal, Proceedings of the National Academy of Sciences. 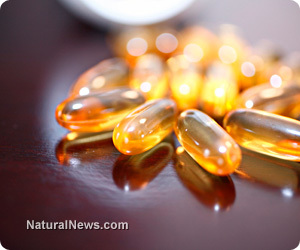 The bioactive long-chain omega-3 fat, docosahexaenoic acid (DHA), found in its free form in fatty fish and fish oil supplements, is broken down by the body into a metabolite form known as epoxy docosapentaenoic acid (EDP). Scientists know that tumor growth is promoted by the process of blood vessel formation called angiogenesis, and determined that by inhibiting this growth pattern, EDP reduces the growth and metastatic spread of tumors in a mouse model. This research provides the first scientific evidence about EDP's potent anti-cancer and anti-metastatic effects. Lead study author, Dr. Guodong Zhang commented "Our investigation opens up a new understanding of the pathways by which omega-3 fatty acids exert their biologic effects... as far as we know, EDPs are the first signaling lipids that have been discovered to have such potent anti-cancer effects." Researchers found that as EDPs are broken down through normal body enzymatic metabolism, the metabolites of these lipids can act to suppress the growth of new blood vessels that are necessary to feed tumor growth. The researchers also found that an imbalance of omega-6 fats to omega-3 fats that occurs in a diet high in sunflower and corn oils produces a metabolite known as arachidonic acid (ARA) that has the opposite effect of EDP. ARA increases angiogenesis and tumor progression and is a primary dietary cause of cancer development and metastasis. The study team concluded "Our results designate EDP as a unique mediator of an angiogenic switch to regulate tumorigenesis." Additionally the scientists have established a firm link between omega-6 and omega-3 fat ratios in the development of cancer. Nutrition experts recommend 1,200 to 2,400 mg of EPA/DHA from a distilled fish oil supplement to lower the risk from cardiovascular disease and cancer progression.